Implementation of the new tax cut policy is set to benefit more than 97 percent of companies in Taizhou, local authorities said on Friday. 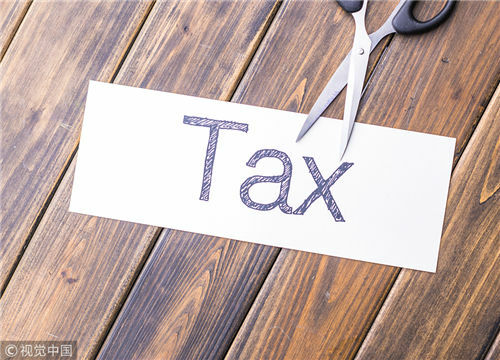 Earlier this month, the Ministry of Finance and the State Taxation Administration jointly issued a document on implementing the tax reduction and exemption policy for small and micro businesses. The implementation period of this tax cut policy is from Jan 1, 2019, to Dec 31, 2021. The policy reduces enterprises' tax burden through measures such as increasing the tax exemptions threshold from 30,000 yuan ($4411.7) per month sales volume to 100,000 yuan per month, relaxing the requirements of scientific and technological startups enjoying favorable tax policies, and allowing local authorities to reduce or exempt taxes up to 50 percent. According to officials of the Taizhou municipal bureau of taxation, small and micro enterprises are the primary driving forces of the private sector in Taizhou and generate the lion's share of the city's GDP. Implementation of the new policy will invigorate them by further reducing their tax burden.